Beautiful certificate from the 8-15 zinsige Schatzanweisung des Deutschen Reichs issued in 1923. 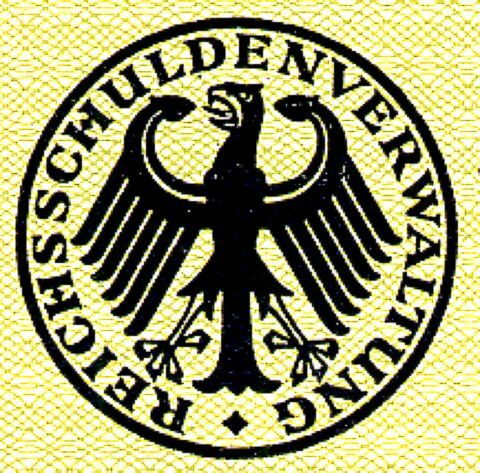 This historic document was printed by the Reichsdruckerei and has an ornate border around it with a vignette of an eagle. This item has the printed signatures from the Treasury's National Debt Office, Reichsschuldenverwaltung, and is over 95 years old. 8 coupons attached on top, not shown in scan.